Windows Observer IE favs, Internet Explorer favs, SkyDrive. permalink. 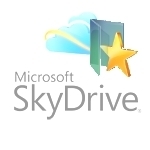 can you import from skydrive to ipad? I know this is an old thread, but I followed your directions but instead of creating a favorites folder in Skydrive , I foolish chose Skydrive itself. Now I don’t have a favorites folder that syncs. Any way of restoring it? @Justin: Hmm I might try a Restore Point to just before you made that change to restore the system to the way it was. Any way of backing up the feeds in the cloud? you only spoke of the favourites. @Bharat Bhardwaj: None that I know of at the moment. any way of backing up & syncing the feeds? you only spoke of the favourites! A funny thing happened today. All my favorites disappeared from my Win 7 PC. I followed the instructions in this article earlier, and everything was fine (thanks by the way :)). Suddenly today, no favorites. What’s worse … there is no longer a ‘Location’ tab when I look at the properties of the local Favorites folder, so I can’t validate if the folder is still pointing to SD or not. Thanks Richard… works great on my Windows 7 PC but not on my Windows Vista PC… the Vista PC copied the bookmarks to the right location on Skydrive but it seems like it doesn’t read from the right location… when I add a URL it gets written to the right location but it doesn’t show up in my list of favorites (no favorites are listed after I moved them)… any idea how to fix this issue? @Tom Hansen: You are also changing Vista’s default location for the favorites correct? @Richard Hay: Yes.. I changed the setting as described in your video (no less, no more) on both my machines (Vista as well Win7)… and as I wrote it works great on the Win7 machine (writes as well as reads) but not the Vista machine (writes seem to be OK… I conclude that since the URL shows up in the right location on skydrive when I add a bookmark… but I can’t see any of my bookmarks from within IE on my Vista machine)..
Not sure how to work around this. Annoying because MS are withdrawing LiveMesh in the new year. @Matt: I had the same issue on Vista/IE9. Testing revealed that Favorites in Vista can’t be read from subdirectories beyond 3 levels from root (e.g. no further down than C:\Users\Username\Favorites). Solution was to close the Skydrive app, move the Skydrive folder to C:\Skydrive, then restart the Skydrive app. Configuration will run again, and the app will complain about not being able to find the Skydrive folder in your User folder. At that point you will have the opportunity to point Skydrive to the new folder location. @Chris K.: Cool. It worked! Thanks. @Ben: Can you go direct to the IE Favorites Directory and add a link to it rather than going though the IE Favorites menu? When I went through the process to change the location – and I did this with favorites and my documents – it didnt move the files, but rather copied them to my skydrive folder. I then created a .docx and an ie bookmark, and its both in my “old” favorites folder and in my skydrive folder. Am I duplicating files on my local hard disk? As long as you chose Move they are in the SkyDrive folder and when you look in the Favorites folder you are just seeing what is in the SkyDrive folder there.